For Instant access to The Laws of Prosperity Series , click the Add to Cart button! The Laws of Prosperity are universal laws born out of God’s Word. As a believer, our dominion to walk in prosperity has been restored to us in Christ. However, the things we identify with goes a long way in determining how much prosperity we enjoy. Hence, what should be your response to prosperity? How do you identify with what God has blessed you with in Christ? 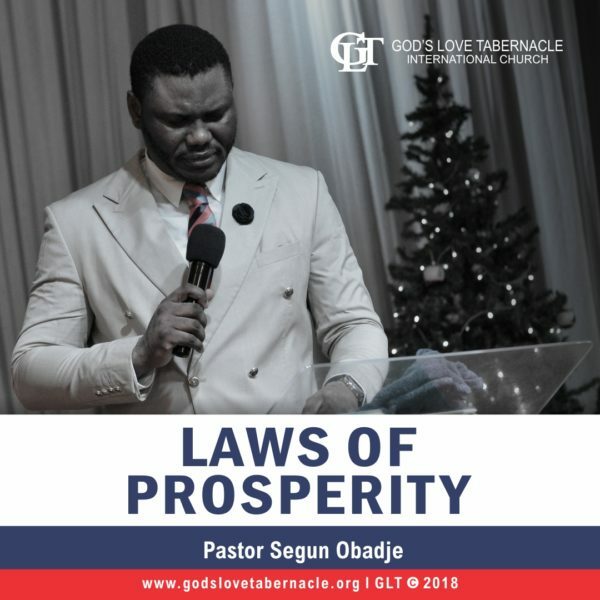 Join Pastor Segun Obadje in this timely teaching as he takes us through the laws of prosperity. Learn from it and produce evident results. Remain blessed! Do you know that a jar of oil can be turned into an unceasing river of oil? Do you also know that the release of your potential and destiny in life is centered about what you can do and every believer has been bestowed with a specific God given potential? However, the manifestation of this potential is domiciled in your work of faith as this is what drives the release of the performance of God’s promise for your life. 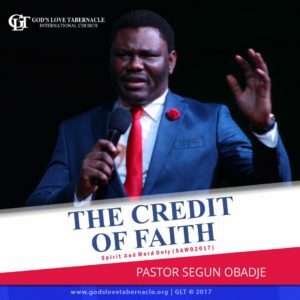 Listen to Pastor Segun Obadje (PhD) as he teaches with simplicity and clarity, releasing your God given potential and fulfilling destiny based on your faith. Do you know that the character of the thought determines the power of the mind? Beloved, Whether you know it or not, the thoughts you think impacts on you directly or indirectly. This is where the Law of Mental Awareness comes in. How do you see yourself? Why is it so important to renew your mind to prosperity? 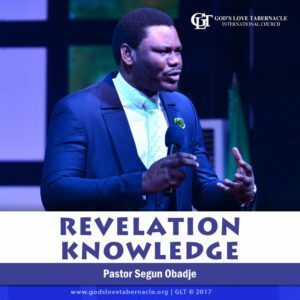 Pastor Segun Obadje, here, expatiates on the Law of Mental Awareness laying emphasis on the importance of creating an inner image of prosperity to have it performed. Listen to this impactful teaching and begin to see yourself the way God sees you. Shalom! One cannot underestimate the power of confession. Confession is born out of the assurance and conviction of truth. In this world where situations and circumstances happens, what do you confess? The Word you speak is the creator of your realities. Pastor Segun Obadje, here, has shed deep light on the importance of the spoken word. As you listen, take charge of your Word, rule your mouth, and let the Word of God be the pathway in which your tongue must follow. Stay Blessed! Beloved, do you know that that the outcome of your life is dependent on the seed you sow? God is your light and salvation, the substance of your seed. Don’t eat your seed when you need to sow it. You can only harvest bountifully when you sow bountifully. 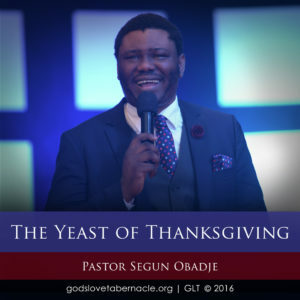 Pastor Segun Obadje in this teaching carefully expounds on the link between seedtime and harvest time. As you listen, begin to engage the principles of seedtime and harvest to birth results far beyond what you can ever imagine. Remember, your seed connects you to your harvest. Without any doubt, God has the plan to prosper us. He does not just want us to be blessed, He wants us to be a blessing to others. However, the key to receiving all we need for life and godliness is in God’s kingdom. The scripture says to seek first the kingdom of God and His righteousness; and all other things we need will be added unto us. Beloved, it is time to take a deep reflection on these things. 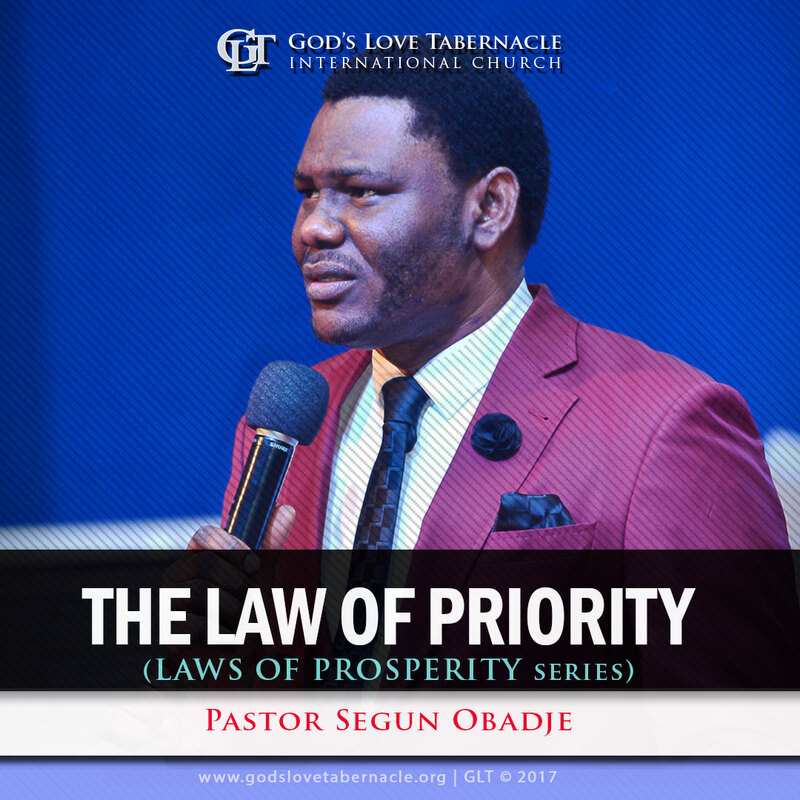 Listen to this life transforming message by Pastor Segun Obadje as he teaches on the importance of placing God as priority. Remain Blessed! Love is the fulfillment of the law. For a Christian life to be effective, he or she must pay attention to love; for love is key. Many are often faced with the challenge of “Selfishness”. However, a believer who is ready to overcome and break forth must break from selfishness. The path of fulfillment is the path of selflessness. This is a revelation which must overwhelm the heart of any true believer. Do you desire to prosper in every sphere of your life? Then, you must adhere to this kingdom principle of selfless giving. 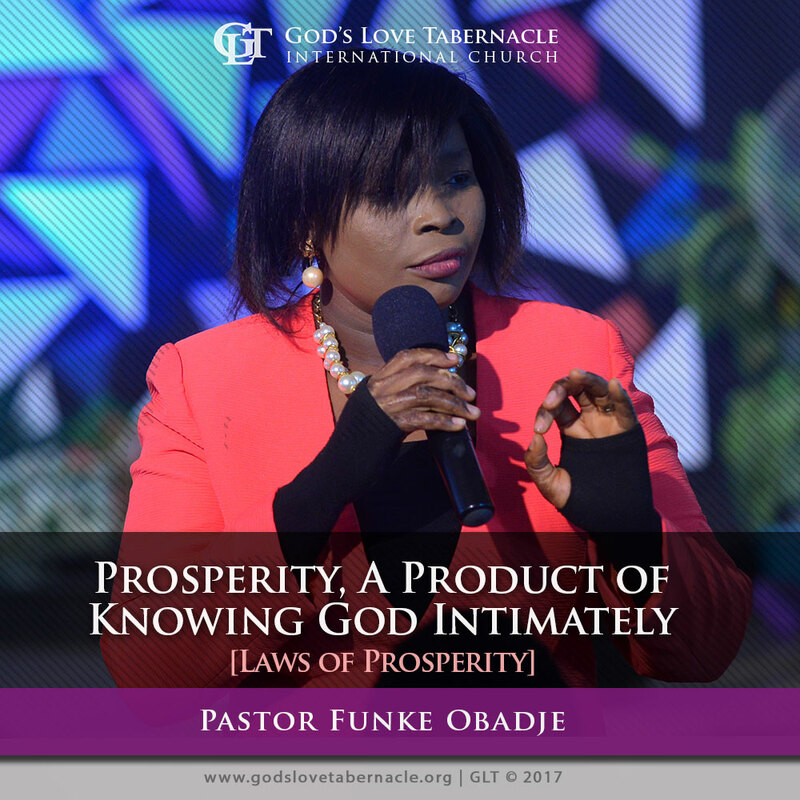 Listen to this teaching by Pastor Funke Obadje as she shows us how to communicate with the grace of prosperity through giving. Stay blessed! Beloved, do you know that there is a thing called the Grace for Financial prosperity? Do you also know that the spirit of liberality comes with this Grace?. It is the father’s will for every believer to prosper in all spheres of life. However, it takes the right attitude and perception to be able to communicate with this Grace. What is your attitude towards giving? How can your giving be effective?! Listen to this teaching by Pastor Funke Obadje as she teaches how to rightly position ourselves in order to enjoy and communicate effectively with the Grace of prosperity. Beloved, What do you believe? Do you know that what you believe determines so much about you? For things to take a new turn in your life and for you to command positive results in life, you must believe what God has said concerning you and renew your mind by His Word. Beloved, refuse to respond to the situation of things around you; rather, respond to the revelation of God in your spirit. What is that situation that requires divine intervention from God? Choose to believe God and his word. Listen to Pastor Segun Obadje in this prophetic teaching as he shows us how to command the blessing and assume our rightful position in Christ Jesus. Worship is an effective means of provoking the blessing. Worship is more than an act of singing, it is a life of total yieldedness and surrender unto God. This is an inevitable principle which any believer who is willing to make exploits and multiply greatly must adhere to. Do you desire to provoke God’s blessing on all that you do?. 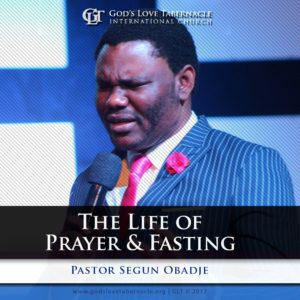 Listen to this teaching by Pastor Segun Obadje as he uses the life of Abraham as a practical example on how to come into the blessing of increase and multiplication as a result of total yieldedness to God. Let the worshiper in you arise today! Do you know that prosperity is not all about money? It is the intimate knowledge of God’s Word. Abraham was rich in all things just because he knew God intimately. There is a hunger that nothing else can satisfy but the intimate knowledge of God. Beloved, do you desire to encounter God in such a way that it will transform and redefine your life? Do you want God’s Word to be revealed to you far more than what any man can preach? Do you desire to enter into the realm of the supernatural? Then, this message is for you. Listen with rapt attention and let your life be guided by every Word spoken. Remember; your next level is in God’s Word.